Have you ever greeted a friend or colleague immediately upon his return from a holiday at an ocean-side resort and envied the evidence of fun in the sun on his newly golden skin? What about the time he came back from the Greek Isles lobster red and unable to comfortably wear a button-down shirt? If you don’t have the time or the inclination to sit on the beach absorbing the sun’s rays – or if you tend to burn easily in the sun – don’t lose hope. You’re generally doing yourself a favour by staying out of the sun during the summer months anyway: spending too much time in the sun is actually one of the worst things you can do to your skin, as it causes premature aging and increases your risk for skin cancer. Whatever your reason for staying out of the sun, you need not resign yourself to being” pasty and pale this summer. You can look just as radiant as any beachgoers in your midst with the help of these simple salon treatments. Hair lightening: Whether you are a dirty blonde or deep brunette, golden highlights will give you an outdoorsy look, catch the sunlight in an attractive way and perhaps even mask a few grey strands. Skin rejuvenation: While it’s common to save such procedures for the winter, regular maintenance treatments throughout the year keep the skin more consistently healthy. 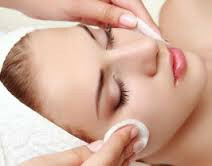 Consider a multi-layer peel or other treatment such as microdermabrasion or medical skin needling. Sunless tanning lotion completes the look by giving your skin a healthy glow without causing damage. Just think of it: all the golden glow with none of the sweating in the sun’s heat, exposure of imperfect areas or sunburns! Ellen Conlin Hair and Beauty is committed to providing top-quality hair and skin treatments to clients in the Glasgow area. The stylists and therapists at our hair salon in Glasgow are prepared to give you the five-star treatment you expect, and you will leave our salon looking just as good as if you were just back from your own holiday – probably even better! For more information on what the hair and skin treatments at our beauty salon in Glasgow can do for you and to join our VIP club, call us today on 0141 339 8223 or visit the Ellen Conlin Hair and Beauty salon website.